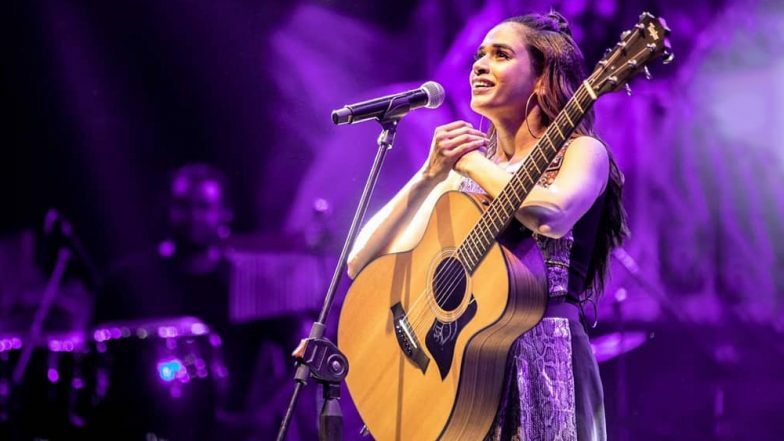 Shalmali Kholgade releases cover of Game of Thrones theme. Game Of Thrones is all set for the world premiere of its Season 8 on April 14. The series is coming to its finale and fans can't control their excitement. Indian celebrities too have been excited for the same. After we saw a few of the Indian Television actors such as Nakuul Mehta who shared his picture in the Jon Snow get up. Now, Bollywood singer Shalmali Kholgade has shared a cover of the Game Of Thrones theme. The original Game Of Thrones theme has been composed by Iranian-German artist Ramin Djawadi. The theme has been given a fresh take by Shalmali and her team who are seen in an interesting video. The song has been given an Indian spin and with the help of an acapella group, the new cover is sounding brilliant. Shalmali captioned the video as, "The Shalmali Kholgade Collective - these are people I’ve shared a stage with on my shows. They’re all so special to me. Here's my video with all of them." Shalmali has sung some popular Bollywood tracks such as, "Pareshaan", "Lat Lag Gayi" and more. Hearing this cover f the singer, we can't wait to see the final season even more. The HBO series will be premiering on Star World and HotStar in India on April 15 at 6.30 AM. We recently learned that India is the most excited nation in Asia for the show. India ranks 4th and it is preceded by the USA, Brazil. This shows how much of a rage the show has become in the country and no wonder, Indian artists are now trying to contribute to the hype.